Shirley Ann VanWinkle Eversole, age 64, wife of the late Joe Sidney Eversole, passed away Wednesday December 26, 2018 at Saint Joseph Hospice Care Center in Lexington, Ky. Mrs. Eversole was born January 16, 1954 in Jackson County to the late Jack and Edna Mae VanWinkle Abrams. To send flowers or a remembrance gift to the family of Shirley Ann Eversole, please visit our Tribute Store. 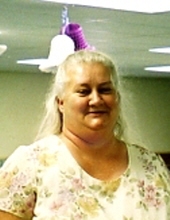 "Email Address" would like to share the life celebration of Shirley Ann Eversole. Click on the "link" to go to share a favorite memory or leave a condolence message for the family.